• Property must be at least 12 metres wide at the building line of the proposed detached granny flat. • Not exceed 3.8m in height to the top of of the roof otherwise additional setback from side and rear boundaries are required. On the 27 February 2009 State Environmental Planning Policy (Exempt and Complying Development Codes) 2008 (the Codes SEPP), which has state-wide application commenced. This new Codes SEPP contains exempt development types and complying development types for certain types of development. 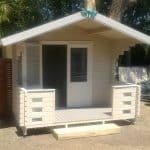 Garden sheds that comply with certain guidelines are considered exempt developments. These guidelines are as follows. There are no more than 2 per lot. If it is on land in rural zones RU1, RU2, RU3, RU4 and R5 – be no larger than 50sqm. 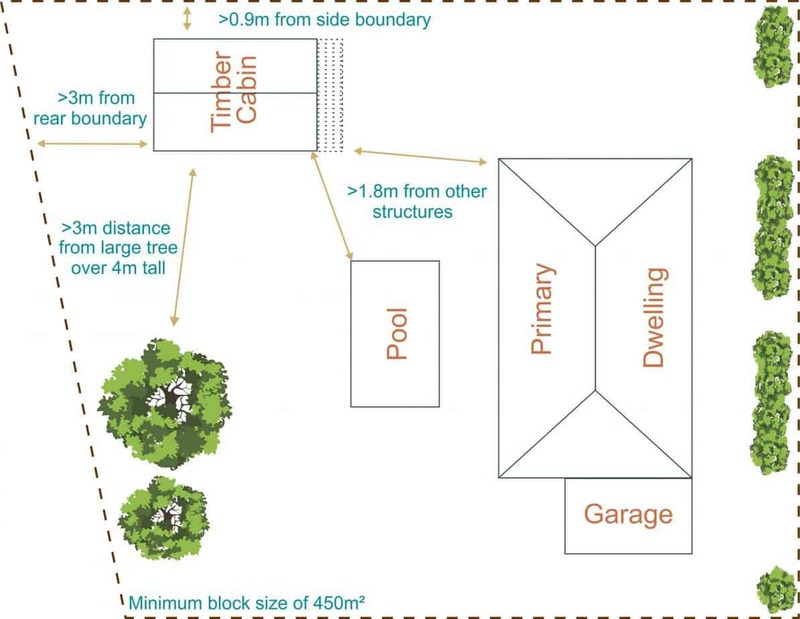 If it is on land in all other zones – no larger than 20sqm. It is no higher than 3m above the ground level. If it is on land in rural zones RU1, RU2, RU3 and RU4 – be located behind the building line of any road frontage. It is set back a minimum of 900mm from each boundary. It is located in the back yard if your property is in a heritage conservation area or a draft heritage conservation area. If it is located adjacent to another building—be located so that it does not interfere with the entry to, or exit from, or the fire safety measures within, that building. It cannot be a shipping container. The disposal of any roof water must not cause a nuisance to adjoining owners. In residential zones, any metal parts of the structure are to be low reflective, factory pre-coloured materials. If your property is bushfire prone land and the structure is going to be located less than 5m from your house or a neighbour’s house the structure must be constructed of non-combustible materials. Fire Ratings for Council Approval. Our cabin kits can pass the rural fire service rating of BAL 12-19 by raising the kits 400mm above the ground on posts. 0% of our cabin kits are constructed this way. There are several flame retardant sealers on the market. If you are in a bushfire prone area, please contact us for more information. For a downloadable pdf file on the safety of solid timber in fires click here: Fire Resistance Strength Fact! Class 1 buildings are houses. Typically, they are standalone single dwellings of a domestic or residential nature. They can also be horizontally attached to other Class 1 buildings such as terrace houses, row houses, or townhouses. In these situations, they must be separated by a wall that has fire‑resisting and sound insulation properties. Class 1a and Class 1b. A Class 1a building is a single dwelling being a detached house; or one of a group of attached dwellings being a town house, row house or the like. A Class 1b building is a boarding house, guest house or hostel that has a floor area less than 300 m2, and ordinarily has less than 12 people living in it. It can also be four or more single dwellings located on one allotment which are used for short-term holiday accommodation. 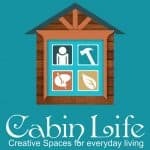 Class 10 buildings are non-habitable buildings or structures. Class 10 includes sub classifications: Class 10a. 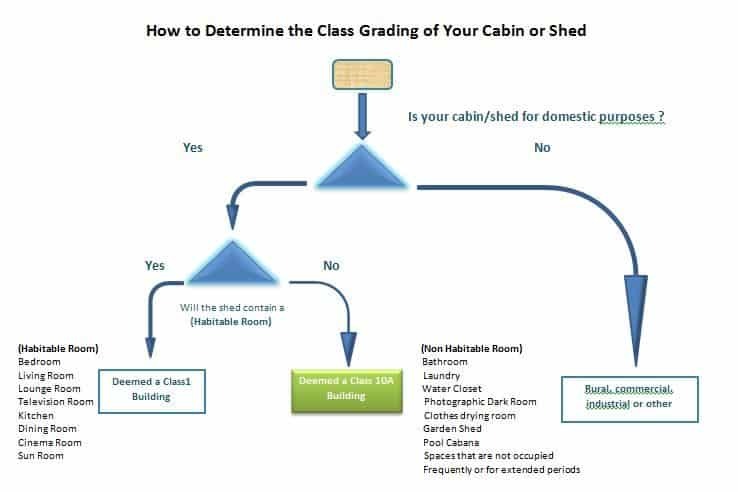 Class 10a buildings are non-habitable buildings including sheds, carports, and private garages. WHAT IS A PRIVATE GARAGE? Any separate single storey garage associated with another building that contains no more than 3 vehicles.